New Zealand’s animals, birds and marine life. Being an isolated country for millions of years, the wildlife in New Zealand has evolved to be quite unique. We have a mix of crazy-looking birds – you’ve probably already heard of the kiwi bird – ancient reptile species, and cute marine life. 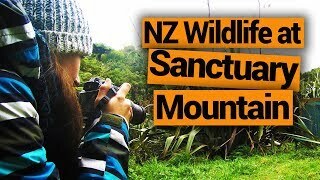 Unfortunately, many native New Zealand wildlife is endangered so seeing these animals could literally be a once-in-a-lifetime opportunity but with visitors continuing to respect the methods of protecting New Zealand’s animals, this will hopefully not be the case. 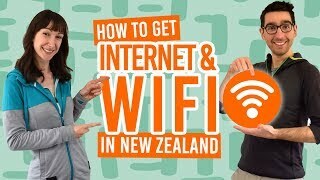 So with all that in mind here’s a quick guide to New Zealand wildlife and what should you do when you find certain New Zealand wildlife. 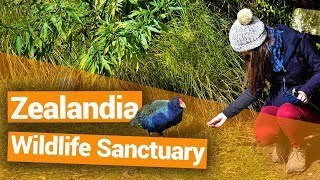 What birds are there in New Zealand? What reptiles, insects and marine life can you see in New Zealand? What are considered as pests in New Zealand? How can you see wildlife? What to do when you see wildlife. How can you protect New Zealand’s wildlife? Any animal or bird that looks like it can’t defend itself probably came from New Zealand. A few of our birds stay on the ground, most famous of which is the kiwi bird. In fact, New Zealand has hundreds of fascinating native birds species. Kiwi – New Zealand’s national icon is a nocturnal bird that can’t fly. Tui – A black bird with two white balls under its neck. You will hear its unusual birdsong before you see it. Takahe – A large flightless bird with shocking blue and green feathers, these guys are critically endangered. Pukeko – This bird looks like a takahe but smaller with long thin legs. Not much of a flyer, you’ll commonly see them sticking to land. Fantail – As the name suggests, when this bird flies it spreads its fan-like tail. Kea – The world’s only alpine parrot is highly entertaining. Found in the South Island, it tends to dismantle cars and your camera if you try to take photos of it. Penguins – Being as close to Antarctica as you can get, it’s not so surprising that we have penguins in New Zealand. You can see the little blue penguins, yellow-eyed penguins and the crested penguins. Another thing that’s pretty cool about New Zealand birds is because they have evolved to not be afraid of predators, they are not afraid to come super close to you. For more wildlife to spot, take a look at 20 Animals and Birds Unique to New Zealand. The rest of the wildlife people are desperate to see in New Zealand are the variety of marine life, insects and reptiles. Tuatara – This lizard is described as a “living dinosaur”, as it is a member of a species that was alive during the dinosaur era. Oh, and did we mention it has 3 eyes? Dolphin – The endangered Hector’s and Maui’s dolphins can only be found in New Zealand. Other dolphins you can see are dusky and bottlenose. Orca – Free Willy lives in New Zealand’s waters. They are more commonly known as “killer whales”. Humpback whale – Go to Kaikoura in the South Island and you can’t miss the whales! Fur seal – The seals love the coastline on the east of the South Island! Glowworms – The cannibalistic maggot makes pretty blue lights. Pekapeka – The only land mammal native to New Zealand is this tiny bat. Apart from a bat, New Zealand was completely free of land mammals before human migration to New Zealand. Since then, lots of species have been introduced to the country. In turn, they have become a threat to vegetation and the native wildlife. 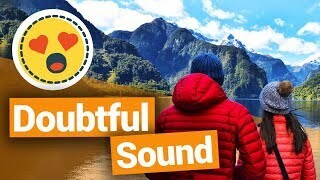 How can you see New Zealand wildlife? Some wildlife is much easier to see than others. Sometimes you might just stumble across pukeko wandering in city gardens, or see a colony of fur seals lounging on the South Island coast. Other times you might have to go with an activity provider who has the knowledge to take you to hidden wildlife spots. Seeing a kiwi bird is on many backpackers’ bucket lists, but they aren’t like pigeons terrorising the streets and stealing your fries. Firstly, they are nocturnal and tend to hide in forests. Secondly, they are becoming more and more endangered due to pests. 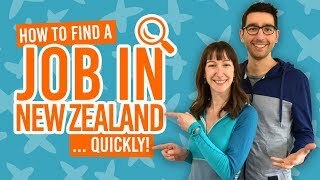 Check out our article on where you can see a kiwi. Activities involving wildlife tend to be going to see the animals or birds in their natural environment – a truly rewarding experience, especially because you get to see how they naturally behave. A popular activity also is dolphin and seal swimming, a unique experience to go into their habitat and watch them swim underneath you! 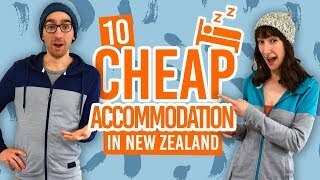 For more activities check out: 8 Wildlife Activities in New Zealand. What to do when you see wildlife? It should go without saying, but don’t terrorise animals. That’s not cool. Just sit, observe and enjoy! If you see a sick, injured or dead animal you need to report it to the local Department of Conservation (DoC) office. See the local DoC offices here. If you see a three or more sick, injured or dead animals then you need to phone the Ministry for Primary Industries Exotic Pest and Disease hotline at 0800 90 99 66. As you can see, New Zealand has some awesome wildlife. However, they are threatened by pests and some human behaviour. To protect wildlife, all you need to do is be an environmentally-friendly backpacker and support conservation efforts. Most of the time, supporting conservation is a good way to see wild animals! Check out our articles below to see how you can achieve this.